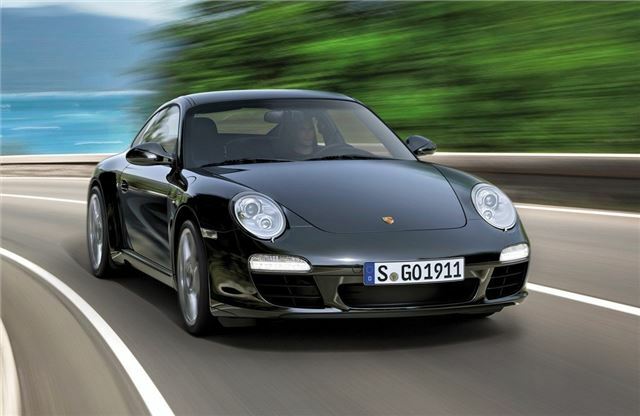 Porsche has launched the a special version of its renowned performance car - the 911 Black Edition. On sale in April 2011, just 1911 examples will be sold across the world and each will come with distinctive black paintwork and 19-inch Turbo II forged alloy wheels. 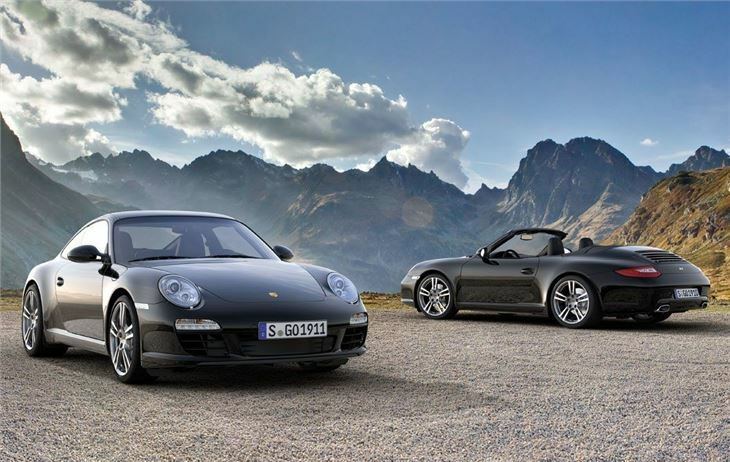 Available as both the Carrera Coupe and Cabriolet, prices start from £67,270 rising to £74,958 for the drop to - the same as the standard 911 Carrera models. The special edition model comes painted in plain black as standard, with Basalt Black metallic available as an option. 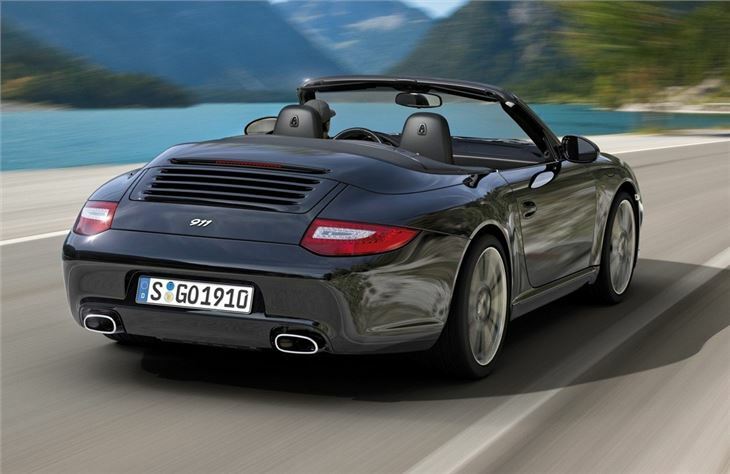 The electric-folding hood of the Cabriolet model is trimmed in black cloth, while on the outside there are 19-inch 911 Turbo II forged alloy wheels with the glossy metallic finish. 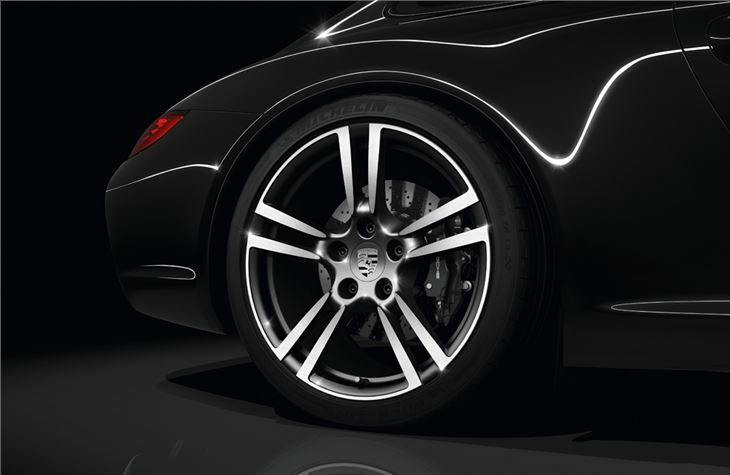 The wheel rims provide an unobstructed view of the brake discs which are paired with black-finished, four-piston aluminium monobloc fixed callipers. Black lettering on the stainless steel door entry guards identifies each ‘Black Edition', while inside, the colour theme of the exterior continues with a black leather interior and a thick-rimmed SportDesign steering wheel. On the glove compartment lid, a badge testifies to the limited production run of the 911 Black Edition. By way of contrast, the decorative fascia strip, gear lever and air vents are finished in aluminium-look paint. The rear centre console is painted in the exterior colour. Together with the characteristic exhaust note of the flat-six 3.6-litre engine, a further acoustic highlight of the 911 Black Edition is the Bose Surround Sound-System that is fitted as standard. 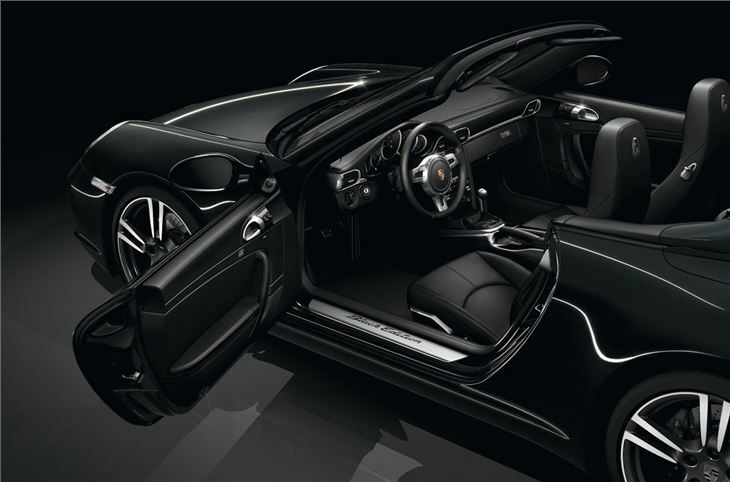 This was specially coordinated with the interior of the 911 Carrera and comprises 13 loudspeakers (twelve in the Cabriolet) including an active subwoofer and central speaker as well as a seven channel digital amplifier. Combined, this delivers a total output of 385W. Also standard on the Black Edition models is satellite navigation and a universal audio interface in the central console storage compartment that enables an MP3 player to be connected to the audio. 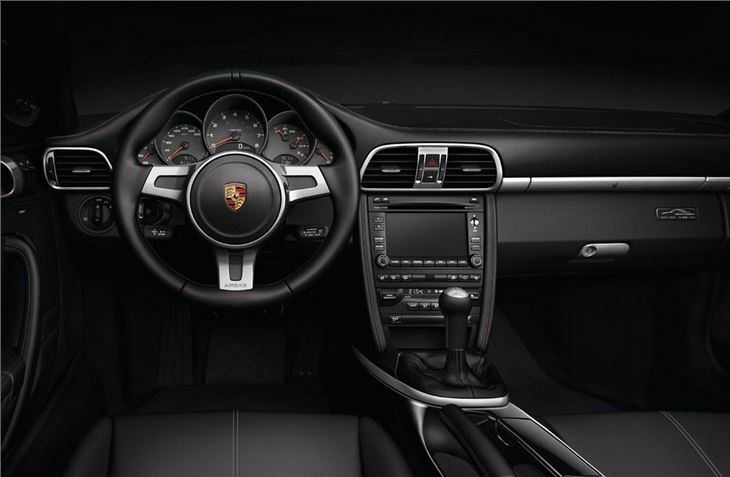 Every 911 Black Edition also features rear ParkAssist, cruise control, automatic dimming anti-dazzle interior and exterior mirrors, and rain-sensing windscreen wipers. Included in the purchase price is the invitation for customers to explore the dynamic attributes of their 911 and develop their own skills behind the wheel, courtesy of a Driving Experience Programme at the Porsche Experience Centre at Silverstone.